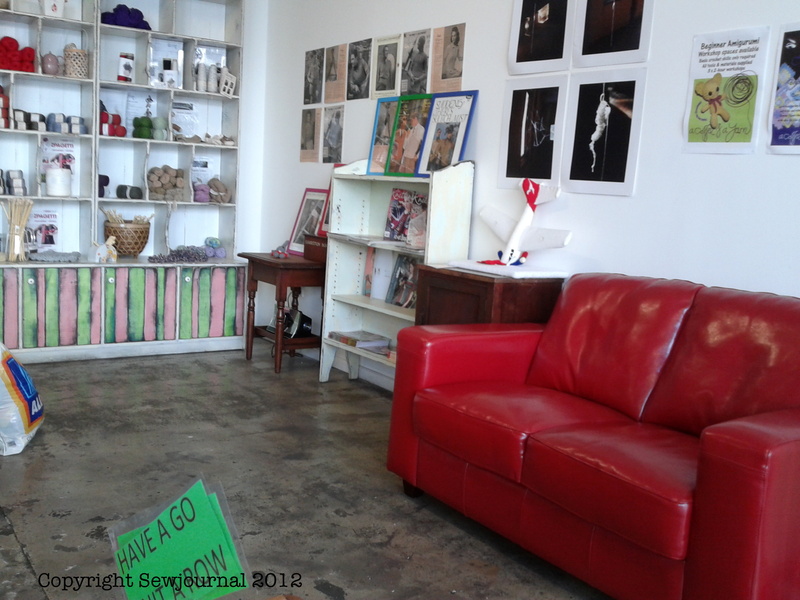 Last weekend we ventured into Newtown and found a lovely new coffee shop at 413 King Street, called A Coffee & A Yarn. 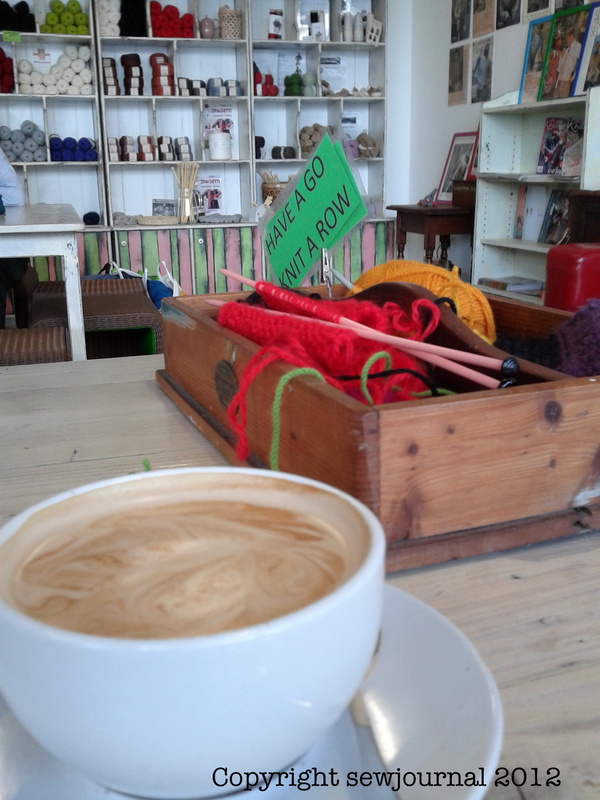 Great coffee, friendly service and some lovely knitting yarns. I especially liked the mulberry silk. And if you haven’t brought your own knitting and you’re just itching to knit a row or two then needles and yarn are provided on every table. I’ll have to take my own knitting next time. I’ve undone two attempts at a designing a multicoloured Noro Kureyon jumper and now I’m sticking to a tried and true Kaffe Fasset Tunic pattern. I’ll try to take a photo soon to show you. What a lovely shop! And such a great idea too!! !